New from Reasor Precision Solutions and Armageddon Gear! The Game Changer provides the ultimate in versatility and stability when shooting from barricades, fenceposts, window openings, and just about any other irregular surface. 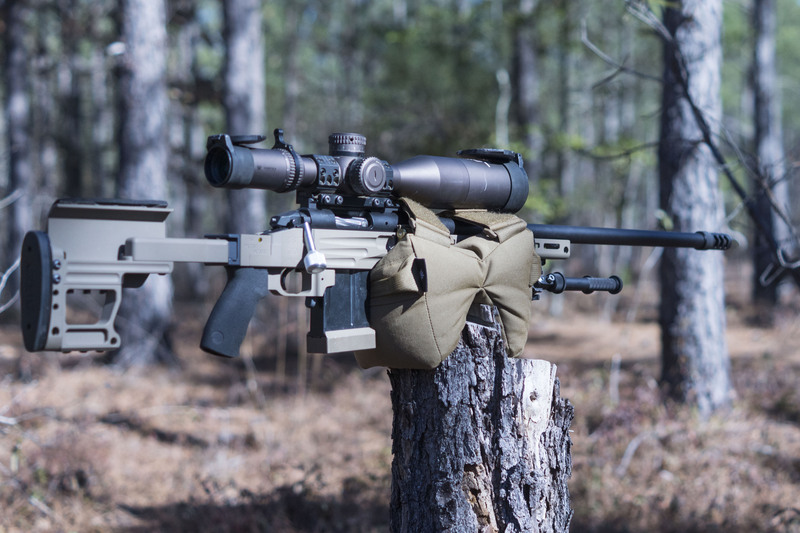 Almost five pounds of pelletized-polymer fill gives the Game Changer just enough weight to form the shape of supporting objects to create a rock-solid and steady for support of your rifle, even allowing you to go hands free for glassing, ranging, changing mags, or other tasks. Sturdy webbing handles on both ends for grab and go portability plus removable velcro-lined straps across the top of the Game Changer ensure that you have multiple configuration options when it’s time for the shot and portability afterwards. Hidden zippered opening allows the addition and removal of fill for a customized bag weight and firmness.